In the strictest sense of the word technology has been used in in learning and teaching since before we were using chalk on slate; the reasons are myriad including efficiency, enhanced learning, or just because it is there. On Monday 9th March 2015 we will be debating “Are learning technologies fit for purpose?” This debate will focus on current, common learning technologies, for example Virtual Learning Environment and e-Portfolios. It is not the purpose of the debate to either define or redefine learning or technology. Most of the common use learning technologies today were conceived of in the 1990’s. At the time the student body, in the UK, was different politically, socially and in its use of technology. Students still had grants. Laptops were not common for students, and smart phones and tablets had yet to become a reality. Having the internet at home meant dial up. Mailing lists were innovative, and we hadn’t yet become cynical when we read “apologies for cross posting” at the top of an email. It was this against this backdrop that learning technologies emerged. But there are large differences between students in the 1990’s and students in 2015. Some students arrive on campus with several devices, all connected, all synced. The students themselves are diverse, with widening backgrounds and skills; some come to university for the experience, some with direct vocational objectives. Finally, the student experience is something that is now commoditized; students are seen by some as customers and they want good value. Speaking for the question, and arguing that they are necessary in their current form is David White, Head of Learning Technologies at the University of the Arts London. Speaking against the question, and arguing that we need to rethink learning technologies is Donna Lanclos, Associate Professor for Anthropological Research, University of North Carolina, Charlotte. Agree or disagree? Come along to the debate, post a question below, get involved! 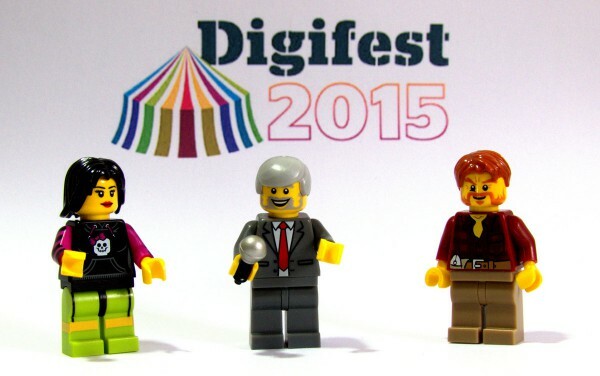 Conferences and Events #digifest15, learning technologies. permalink. It’s a great question, but are any technologies fit for purpose? At all? Everyone I know misuses email every day doing tasks that could be better, or more effectively achieved other ways. The @replies and retweets were “invented” by people just misusing Twitter. All technology is routinely and completely misused… being pressed into use by being “close enough”.